A first-rate conversion to a large-screen, 3-D format makes for a wonderfully vivid experience. It's easier now than ever to surrender disbelief. 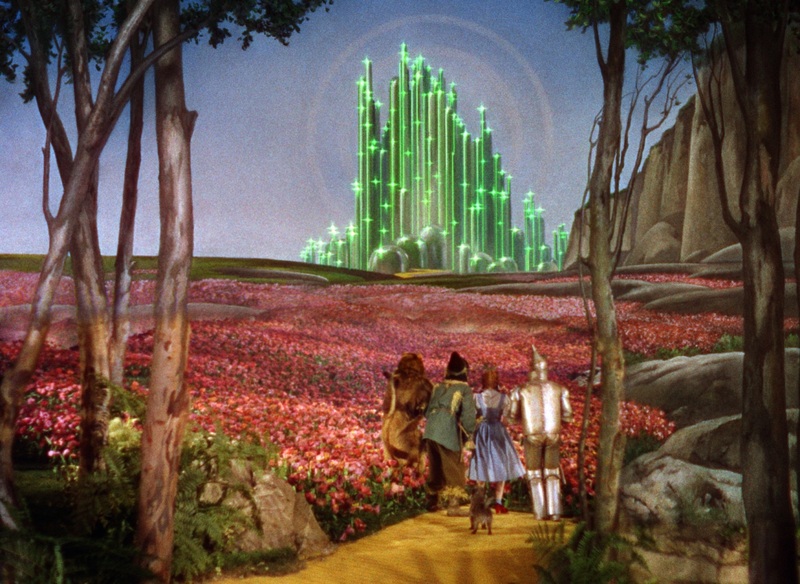 All these decades later, the ruby slippers sparkle with matchless dazzle, the winding brick road looks incomparably yellow and the Emerald City shines an ever-more-alluring green. Childhood memories will only be enhanced by the vibrant restoration and sharply rendered conversion of The Wizard of Oz: An IMAX 3D Experience (* * * ½ out of four; rated PG; opening Friday nationwide). Not only is it the oldest film ever to be converted to 3-D, it's also the most iconic. The blend of old-fashioned, classic storytelling with cutting-edge technology is undeniably enthralling. It will charm middle-aged adults who remember the excitement of watching it yearly on television as much as young viewers who may be less familiar with the near-mythic story. And anyone who has not seen it on a big screen will be captivated by the cinematic re-purposing. n this remastered version, in theaters only a week and then available on DVD, the moment when Dorothy (Judy Garland) steps out into the flower-filled Munchkinland is more of a thrill than ever before. And, later, the "horse of a different color" inside the wizard's castle changes hues far more brilliantly in the giant-screen, three-dimensional format. Details not previously visible, particularly on the small screen, suddenly loom large. Read more on The Wizard of Oz in IMAX 3D on USA Today's website.